Rather than focus on particular super foods, research now emphasizes that our eating choices protect (or hurt) health as part of our overall eating pattern. It’s the total diet that counts. Fortunately, studies also show that despite headlines about the “best” diet, multiple different styles of eating link to longer life and lower risk of heart disease, type 2 diabetes and cancer. Legumes are called out as part of all the eating patterns with solid evidence supporting their role in promoting health. Mediterranean diet: Linked with reduced inflammation and reduced risk of type 2 diabetes and metabolic syndrome (with lower blood triglycerides and healthier levels of blood sugar and insulin), including frequent legumes is part of a Mediterranean diet score used in many of these studies and a classic part of a Mediterranean style of eating. DASH diet: Developed as a way to further lower blood pressure beyond what can be accomplished by reducing sodium consumption, the OmniHearts trial showed that a DASH diet with added plant protein, including more daily legumes, brought even greater reductions in blood pressure, LDL (“bad”) cholesterol and estimated heart disease risk. 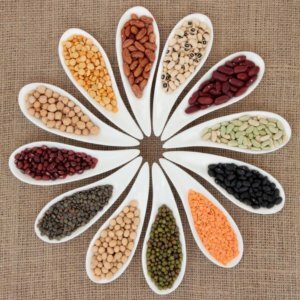 Portfolio diet: Beyond the benefits of even a basic healthy eating pattern, adding daily nuts, vegetable protein (as soy protein or pulses), foods rich in viscous fiber and plant sterols provides even greater benefit for reducing LDL cholesterol and inflammation, comparable to starting doses of statin medications. Dietary Scores associated with better health and lower risk of heart disease, type 2 diabetes and high blood pressure all include frequent use of legumes. Pulses vs Legumes? What’s in a Name? Pulses are the dried edible seeds of legumes. Variety is huge within basic categories of dried peas, lentils, chickpeas, and dried beans (such as black beans, kidney beans, navy beans, etc.). Pulses are high in protein and fiber, low in fat. Soybeans and peanuts (yes, botanically a legume, not a tree-growing nut), are classified as oilseeds. Unlike pulses, they are not low in fat. Their fat is a healthy type of fat, more than 85 percent of it mono- or poly-unsaturated. Green peas and green beans are legumes, too. However, research studies and dietary recommendations (including MyPlate) include green beans with vegetables like lettuce, onions and celery; and group green peas and lima beans with starchy vegetables (along with corn and white potatoes). Studies on legumes and health most often group soy and pulses together, unless considering specific effects of one or the other. Even though peanuts are botanically legumes, most studies on how diet affects health consider them with tree nuts (walnuts, almonds, etc.). What’s so Healthy about Pulses? Perhaps you’ve been avoiding pulses because their concentrated carbohydrate means you expect havoc with blood sugars, but the opposite is true. An analysis of multiple studies concluded that pulses, especially as contributors to diets high in fiber and/or low in glycemic index (GI), reduce improve markers of healthy blood sugar like A1C. People with diabetes, showing the greatest effect on blood sugar as expected, show 0.48% drop in A1C with pulses as part of high-fiber or low-GI diets. This exceeds the criteria the U.S. Food and Drug Administration considers “clinically meaningful” and is nearly as great as the lowest effective dose of oral agents for blood sugar control (which bring A1C reductions of 0.5% to 1.0%). Someone with prediabetes whose A1C was 6.0% could thus drop to a normal range of A1C (5.6% or lower). Studies show benefits with one standard serving of pulses per day as part of these healthy eating patterns. Among people already following the ultra-healthy Mediterranean diet, the famous PREDIMED study found that pulse consumption was linked to 35% lower risk of developing type 2 diabetes. Substitution of even half a serving/day of legumes to replace other carbohydrates reduced risk. Pulses’ viscous fiber slows stomach emptying and slows absorption of carbohydrate, and the protein also contributes to slow stomach emptying. This effectively reduces the overall glycemic effect of the whole meal. 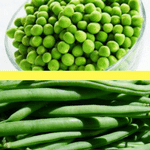 Dried beans and peas also contain resistant starch. It’s fermented by health-promoting bacteria in the gut, producing short chain fatty acids that are absorbed and influence carbohydrate metabolism to reduce blood sugar. Depending on how high your LDL cholesterol is to start, a daily serving of pulses can lower LDL by at least 5% (about 6.6 mg/dl), according to an analysis of 25 randomized controlled trials (RCTs). This review looked specifically at pulses (dried beans, peas and lentils) and did not include soy or peanuts. LDL can drop in as little as two weeks, notes John Sievenpiper, MD, PhD, a practicing physician and researcher at the University of Toronto, Canada. It’s important to note that in most of these trials, the comparison was to heart-healthy diets (generally less than 10% of calories from saturated fat and providing 20 to 25 grams of fiber daily). So for people boosting pulses as part of an overall improvement in eating habits, the LDL drop may be even greater. Soybeans also lower LDL cholesterol, about 4 percent as an independent effect, and when substituted for foods that raise LDL cholesterol, total LDL could drop 7 to 10 percent. Research suggests that soy may bring unique LDL-lowering effects through a component of its protein that may be digested to compounds that reduce cholesterol synthesis in the body, as well as potential effects of its healthy fat and protective phytochemicals. 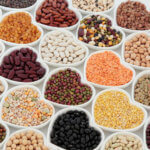 Low consumption of legumes contributes to causing heart disease, according to a recent review applying established criteria for identifying a food or nutrient as “causing” (rather than simply associated with) lower risk of disease. Risk was reduced 23% with one daily serving, identified as optimal intake for lowest heart disease risk. Are Pulses Fattening? Think Again! An analysis of 21 controlled intervention trials of overweight and obese adults showed that if weight changed, including a daily ¾ cup of pulses brought modest weight loss compared to diets without pulses. And that was even when diets were at a calorie level designed to maintain weight. Overall it’s not surprising that studies show greatest weight management help when pulses are part of a diet with reduced calories. Studies suggest that legumes increase satiety, which can help reduce calorie consumption at a meal. This increased feeling of fullness seems to come from their viscous fiber, which slows stomach emptying, combined with the protein that stimulates gastric hormones that lead to satiety signals. 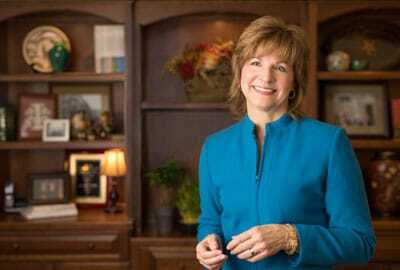 Moreover, Sievenpiper says you may not get as many calories from pulses as you think based on calorie charts, as some of the calorie-bearing nutrients may be bound up and not absorbed. That’s still emerging data; we can’t bank on it yet, but it could help explain a link between pulses and healthy weight. Consumption of legumes among U.S. adults averages ½ to 1 cup per week. So most of us have a considerable way to go to meet healthful amounts. Healthy eating patterns identified in the Dietary Guidelines for Americans 2015-2020 call for a reasonable increase to 1½ cups per week (or about 3 cups per week for vegetarians). For optimal heart health and prevention or management of diabetes, researchers call for a ½-cup to 2/3-cup serving of legumes five to seven days a week. Remember, the goal is not to simply add legumes to your current eating habits. Swap them to replace or reduce your portion of foods that don’t offer as much health protection or appetite management help, or that may already be abundant in your diet. Canned black beans, kidney beans, chickpeas and more are always in my pantry for super-quick addition to all kinds of dishes. Choose those with no added salt when you can, or pour into a sieve and rinse with water to wash away 40 percent of the sodium. Lentils don’t require any advance soaking and cook in a flash. Black beans or kidney beans make an excellent addition to omelets. Mix them in or pour on top as part of a quick-fix salsa. Savor black bean, split pea or lentil soup. Pureed chickpeas or white beans makes a terrific thickener instead of heavy cream in other soups. Add cooked lentils or beans to cooked whole grains like quinoa or brown rice for added fiber and appealing flavor and texture contrast. For tacos or burritos, use beans instead of ground meat (or at least replace part of the meat). Chickpeas, lentils, and other beans are classic additions to salad in many cuisines around the world. Shelled edamame is also delicious in salad. Add your choice of beans to pasta sauce. Cook up some chili with your favorite canned beans, whatever vegetables you have left at week’s end, plus a can of tomatoes. It’s a quick-fix treat that helps you save money and reduce food waste. Include cubed tofu instead of all or part of the meat or chicken in a stir-fry. It’s super-quick and soaks up the flavors of your sauce like a sponge! When you put out raw veggies for a snack, include edamame. Hummus is only one of many ways to enjoy pulses in a dip! Puree white beans, mix with plain Greek yogurt and whatever herb suits your mood. Oven-roasted chick peas — baked to a nut-like crunchiness — are also a delicious and portable snack. Love Indian food? Dal, the classic lentil or split pea dish, is easy to make at home for exotic fun. Legumes — meaning dried beans and peas, lentils, and soyfoods — are a long-standing part of healthy diets all around the world. And they’re part of multiple eating patterns linked with better health and longevity. As a part of a healthy diet, legumes promote heart health, and lower risk or improve management of type 2 diabetes. If you think healthy eating messages are all about what not to eat, or require exotic and expensive foods, here’s a great example of why that’s not true. Have fun trying out ways to enjoy a variety of legumes! Include them a few more days a week than you do now to start, and see how easy it is to love them every day. What are some of your favorite ways to enjoy pulses and other legumes? Please share in the Comments section. We can all benefit from more ideas to make healthy eating doable! Lentils for Every Season, comes in multiple volumes, free from Canadian Lentils. You’ll find tantalizing recipes for pulses at breakfast, and in main dishes, salads, soups, snacks and even desserts at the pulses.org website. 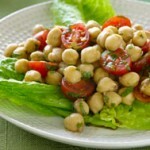 For example, try the basic recipe for roasted chickpeas to enjoy as a snack or in salads. Then experiment with flavored options. If you want tips for cooking and storing pulses, you’ll find that, too. I love the Soups, Salads and Salsas section of “The Bean Life” on Bush’s Beans website. Want quick & easy? That’s another whole section. Or you can search specifically to meet your needs for cooking for one, the family or entertaining. Canned beans are easy, flexible and economical. I highly recommend stocking up and downloading Oldways’ tip sheet, 12 Great Ways to Use Canned Beans. It shows how to use pulses as a key ingredient in a Mediterranean Diet. 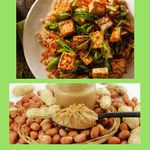 Since legumes are also part of a diet to lower cancer risk, check the American Institute for Cancer Research (AICR) website’s Foods that Fight Cancer, for tips and recipe links. Appel LJ, Sacks FM, Carey VJ, et al. Effects of Protein, Monounsaturated Fat, and Carbohydrate Intake on Blood Pressure and Serum Lipids: Results of the OmniHeart Randomized Trial. JAMA. 2005;294(19):2455-2464. Esfahani A, Jenkins D, Kendall C. Session 4: CVD, diabetes and cancer A dietary portfolio for management and prevention of heart disease: Symposium on ‘Dietary management of disease’. Proceedings of the Nutrition Society. 2010; 69(1), 39-44. Fung TT, McCullough ML, Newby PK, et al. Diet-quality scores and plasma concentrations of markers of inflammation and endothelial dysfunction. Am J Clin Nutr. 2005; 82(1):163-173. Ha V, Sievenpiper JL, de Souza RJ, et al. Effect of dietary pulse intake on established therapeutic lipid targets for cardiovascular risk reduction: a systematic review and meta-analysis of randomized controlled trials. CMAJ. 2014; 186(8): E252-E262. Jannasch F, Kröger J, Schulze M. Dietary Patterns and Type 2 Diabetes: A Systematic Literature Review and Meta-Analysis of Prospective Studies. J Nutr. 2017; 147(6):1174-1182. Jenkins DJA, Kendall CWC, Marchie A, et al. Direct comparison of dietary portfolio vs statin on C-reactive protein. Eur J Clin Nutr. 2005; 59:851-860. Jenkins DJA, Mirrahimi A, Srichaikul K, et al. Soy protein reduces serum cholesterol by both intrinsic and food displacement mechanisms. J Nutr. 2010;140(12):2302S-2311S. Kim SJ, de Souza RJ, Choo VL, et al. Effects of dietary pulse consumption on body weight: a systematic review and meta-analysis of randomized controlled trials. Am J Clin Nutr. 2016; 103(5):1213-1223. Li SS, Kendall CWC, de Souza RJ, et al. Dietary pulses, satiety and food intake: A systematic review and meta-analysis of acute feeding trials. Obesity. 2014; 22( 8):1773-1780. Micha R, Shulkin ML, Peñalvo JL, et al. Etiologic effects and optimal intakes of foods and nutrients for risk of cardiovascular diseases and diabetes: Systematic reviews and meta-analyses from the Nutrition and Chronic Diseases Expert Group (NutriCoDE). PLoS ONE. 2017; 12(4): e0175149. Ndanuko RN, Tapsell LC, Charlton KE, Neale EP, Batterham MJ. Dietary Patterns and Blood Pressure in Adults: A Systematic Review and Meta-Analysis of Randomized Controlled Trials. Adv Nutr. 2016; 7:76-89. Ramdath, D, Renwick S, Duncan AM. The Role of Pulses in the Dietary Management of Diabetes. Canadian J Diabetes. 2016; 40(4):355-363. Sievenpiper JL, Kendall CWC, Esfahani A, et al. Effect of non-oil-seed pulses on glycaemic control: a systematic review and meta-analysis of randomised controlled experimental trials in people with and without diabetes. Diabetologia. 2009; 52:1479. Sotos-Prieto M, Bhupathiraju SN, Mattei J, et al. Changes in Diet Quality Scores and Risk of Cardiovascular Disease Among US Men and Women. Circulation. 2015;132:2212-2219. 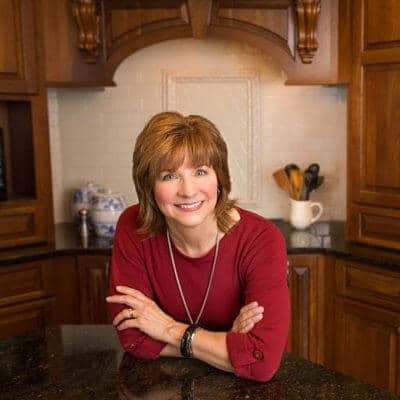 Karen, Thank you so much for this article and the recipe links. As a retired RD/CDN, I enjoy reading the information you share. As a person who mostly consumes a whole food plant-based diet, I have become a recipe junkie. The first recipe I will probably make is the Banana Oatmeal Pancakes with Lentils from your lentils.ca link. Almost nothing is as exciting as stepping into new territory with eating healthy food because it is a daily or at least frequent adventure that is often rewarded and shines a light on new horizons to explore. Thanks for your support and positive feedback, Joyce. I’m with you — love to focus on new tastes and the fun of eating that supports health and tastes delicious. Keep us posted on your new favorites!